What makes the Sonic Highways album so special to me is that it’s accompanied by a documentary series of the same name. The series follows the Foos as they travel across America to record the album. The eight songs were each recorded in a different city, in a studio or location that played a major role in that city’s music scene. I am an avid viewer of the show and I’ve thoroughly enjoyed learning about the music history in some of our major cities. It’s really fascinating. “Congregation” was recorded in Nashville, TN at Southern Ground Studios, owned by Zac Brown of the Zac Brown Band. In fact, Brown sings backing vocals on the song. Like all of the tracks on Sonic Highways, some lyrics reference the people and places the band encounters on their travels, giving them an added meaning. Sonic Highways is a great standalone album, but I feel it’s best enjoyed and appreciated as a companion to the TV series, as the episodes provide excellent context for the lyrics and the stories that inspired them. 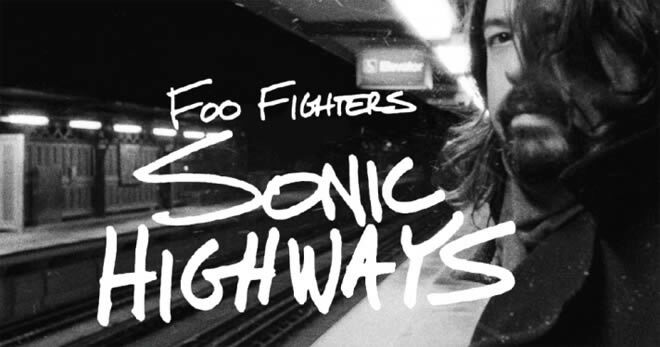 Sonic Highways airs Fridays at 11pm EST on HBO. I highly recommend it for Foo Fighters fans and music history buffs alike.